When Duval Elementary School in East Gainesville received an “F” on the Florida Comprehensive Assessment Test in 2002, shock waves jolted the administration, which faced cuts in state funding. That’s when long-time teacher Gloria Jean Merriex radically changed her approach. Along the way, she teamed up with Don Pemberton, director of the Lastinger Center for Learning, and temporarily saved the school before she unexpectedly passed away at age 58. Now Merriex’s story is being retold in “Discovering Gloria,” an upcoming documentary by former Lastinger Center operations manager Boaz Dvir, who now is an assistant professor in the College of Communications at Penn State University. Shon Smith, clinical assistant professor in the UF Counselor Education program, garnered headlines recently for receiving national attention for two major achievements involving separate divisions of the American Counseling Association. The Sun wrote about the building of a new CHILD (Children’s Health, Imagination, Learning and Discovery) Center in southwest Gainesville. The center is a collaboration of UF Anita Zucker Center for Excellence in Early Childhood Studies and local groups, SW Advocacy Group (SWAG) and O2B Kids, A public groundbreaking ceremony is scheduled for this Thursday at 6 p.m. The state budget includes $17.4 million for renovations to Norman Hall — enough funding to complete the renovations to the home of the College of Education a year earlier than expected. 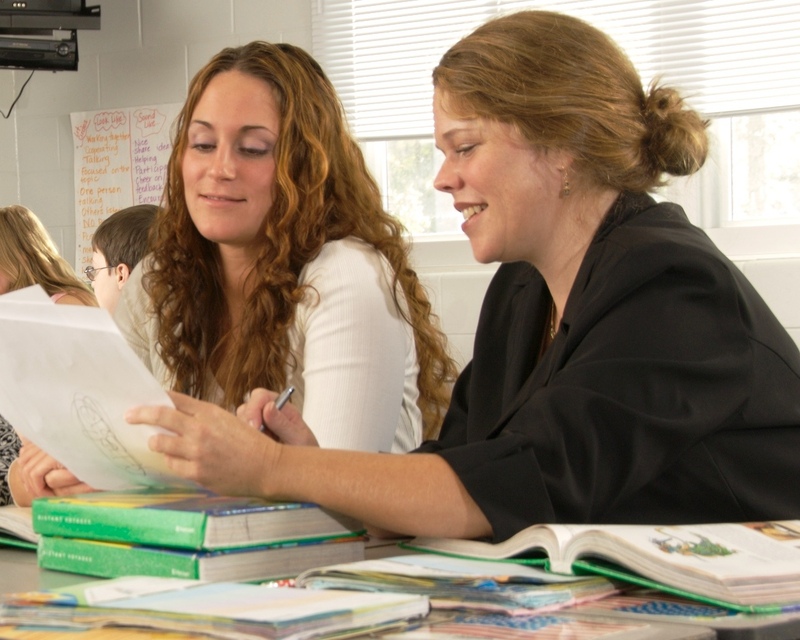 Phil Poekert, assistant director of the UF Lastinger Center for Learning, penned an op-ed about the importance of every teacher having a professional teaching coach. Comments from Maureen Conroy, a professor of early childhood studies at the UF College of Education, are included in a story about how a new autistic “Sesame Street” character can teach children about autism. Miami Today wrote Algebra Nation, a program developed by the College of Education’s ULastinger Center for Learning, has dramatically increased pass rates in end-of-course algebra tests, especially for minority students. It’s free, available to any student in Florida, and widely used in Miami-Dade County. The newspaper wrote “an epilogue” in remembrance of Triple Gator Brian Dassler, who passed away suddenly at age 38 of a pulmonary embolism. The story noted the college has established a graduate student scholarship in his name. The Sun quoted professor Elizabeth Bondy, clinical professor Vicki Vescio, and alumna and teacher Darby Delane in a story about the challenges educators face in tackling education disparities. The story highlighted the Gainesville for All initiative, GNV4ALL, which is advocates the local school district adopt an equity plan to address racial and socioeconomic disparities. The Sun wrote about U.S. News & World Report’s rankings of the country’s graduate schools, which had six University of Florida schools ranked in the top 100 in their disciplines. The College of Education was the highest ranked among UF programs: tied for 29th with the University of Colorado, Boulder. James Patterson, the best-selling author and sponsor of scholarships for UF elementary education students, fielded questions from fellow author Michael Connelly, a UF journalism grad, about Patterson’s philanthropy, passion and advice for students as part of Friday’s GatorNights event co-sponsored by the UF colleges of Education and Journalism. Darby Delane (right) left the College of Education in 2013 to return to the middle school classroom. The Sun wrote about former College of Education Clinical Assistant Professor Darby Delane’s return to teach at Kanapaha Middle School, where she launched a two-year study to explore whether increased dialogue between teachers and students with disciplinary problems have an impact on student behaviors. UF’s new office in downtown Coral Gables, which officially opened Monday night, will house admissions, alumni outreach, fundraising staffers, and an office for the College of Education’s Lastinger Center for Learning, which has a partnership with the Miami-Dade school district. The newspaper wrote about the unsuccessful efforts tof College of Education doctoral student Stephanie Schroeder and other students to convince U.S. Sen. Marco Rubio to vote against the nomination of Betsy DeVos for secretary of education. The newspaper wrote about the Lastinger Center for Learning’s partnership with an education technology firm to improve how educators teach at under-achieving schools in Colorado. Glenn Good, the dean of the UF College of Education, says Old Norman Hall’s estimated $30 million renovations are expected to start late spring and after a timeline and plan is approved the building’s most pressing issues will be addressed at the start of the two-year project. To tap into the transformative power of coaching, leaders in districts and schools need to make instructional coaching an important part of their overall strategy for school improvement, writes Don Pemberton, director of the Lastinger Center for Learning, in a guest column that appeared on the editorial page of the Orlando daily. State and local education officials have been in talks to bring a website and smartphone app called Algebra Nation to public school students. A product of the University of Florida’s Lastinger Center for Learning, the program has shown promising results after being rolled out to every school district in Florida. Students with disabilities are more often the victims and perpetrators of bullying in schools than students without disabilities, according to a new study co-authored by Nicholas Gage, assistant professor of special education at the UF College of Education. Athletes have coaches, why not teachers? Associate Director of Teaching and Learning Alyson Adams and professor emerita Dorene Ross were quoted on camera about a story on the value of teacher coaching to improve student success. The story comes after the release of a report, “Coaching for Impact: Six Pillars to Create Coaching Roles that Achieve Their Potential to Improve Teaching and Learning,” codeveloped by the Lastinger Center for Learning. UF scholars Ann Daunic and Stephen Smith, and elementary education senior Rachel Johnson were quoted in a story about a $3.5 million federal grant to fund a UF College of Education project to research a new curriculum designed to help kindergarten and first-grade students learn about and express their emotions. In its Sunday edition, The Gainesville Sun published news about the University of Florida College of Education being rated No. 9 among the nation’s best undergraduate teacher education colleges, according to a ranking published by USA Today. The Sun wrote about UF receiving two U.S. Department of Education grants to support Precision Education: Virtual Learning Lab, which brings together teaching experts to explore massive sets of student data to update and personalize virtual instruction. The Sun wrote about Ross Van Boven, a sixth- and seventh-grade learning community leader at P.K. Yonge Developmental Research School, who received the 2015 Teacher as Researcher Award from the American Educational Research Association. P.K. Yonge Developmental Research School teacher Jon Mundorf, who received the Outstanding Young Alumni Award from the College of Education, says if a classroom doesn’t feel good, it’s hard to learn in it. Mundorf’s approach is to create a learning environment that is easily accessible for all students. The student-run newspaper wrote about the $400,000 grant the Lastinger Center for Learning received to help elementary students learn through its Winning Reading Boost program. Shaunté Duggins, an early literacy and teacher development consultant for the Lastinger Center, said students in the program remember more information when rap, contemporary, jazz and other types of music are used. Two recent graduates of the College of Education’s top-rated special education program say schools need to provide far more support to combat the high turnover of teachers and ensure that students with disabilities are served by qualified and skilled special educators. Elizabeth Bettini and Kristin Murphy, graduates of COE’s doctorate program in special education and now assistant professors at universities in the Boston area, cited their work with Drs. Mary Brownell and Maureen Conroy of the COE on a study of data that found special ed. teachers were more likely to be emotionally exhausted, and more likely to plan to leave the profession. The student-run newspaper quoted Associate Dean Tom Dana, who said the revamped website is more student-focused and targets recruiting students. Jason Arnold, associate director of e-learning, technology and creative services, and Kendall Messersmith, a UF elementary education junior, also are quoted. The student-run newspaper picked up the story on the College of Education Lastinger Center for Learning’s selection of 40 public school teachers for a new Florida Teacher Leader Fellows program. The story quoted Rebekah Cordova, the professional development coordinator for the program. in the schools where students need them the most.” Davis, a teacher at Melrose Elementary, earned a bachelor’s from UF’s College of Education in elementary education in 2008 and a master’s in special education in 2009. She spoke of the importance of her immersing herself in high poverty neighborhoods to give underserved students a great education. UF Associate Professor Pavlo “Pasha” Antonenko’s “iDigFossils” project includes giving students in Florida and California 3-D scanners and printers, the Florida Alligator reported. Antonenko’s project was awarded almost $1.2 million by the National Science Foundation. Don Pemberton, director of the college’s UF Lastinger Center for Learning, told POLITICO Florida he is in discussions with lawmakers to fund a pilot intensive reading program that has garnered preliminary success in two troubled Pinellas County elementary schools. A Lastinger Center team worked with 20 third, fourth and fifth graders after school and evaluated the students’ grasp of critical reading skills before and after the program. Students’ success improved by 75 percent to 100 percent. Pemberton said he is seeking funding for five to 15 schools in three districts, with the total cost not more than $1.5 million. The Tampa Bay Times’ education reporter also picked up the story. UF College of Education doctoral candidate Jesse Gates’ dissertation on social media policies at Florida school districts was picked up by The Independent Florida Alligator with a story about how school faculty and staff have more restrictions on their First Amendment rights. Pasha Antonenko’s receiving a College of Education record four National Science Foundation grants in the same funding cycle — with a fifth award pending official announcement — received notice from The Independent Florida Alligator. While many university-affiliated, K-12 laboratory schools are turning into private schools or closing their doors due to budget constraints and reorganization, a story in Education Week profiles P.K. Yonge Developmental Research School at the University of Florida as a shining example of a school that lives up to the original vision of the American laboratory school–where teachers and university researchers actively collaborate to “develop and spread instructional innovation.” P.K. Yonge director Linda Hayes is quoted extensively. WUFT-TV interviewed COE Dean Glenn Good for a 98-second story about the apparent support COE officials have received from the Florida Board of Governors to seek funding for much needed repairs and restorations to Norman Hall. The Gainesville Sun ran a story on the Florida Board of Regents approving UF’s request to add $25 million for renovations to Norman Hall to its capital improvement and maintenance requests it will submit to the Florida Legislature for the 2015-16 budget year. James W. Norman Hall is the College of Education’s stately but aging, 82-year-old academic building. The Huffington Post posted a story quoting UF special education professor Joe Gagnon and other sources about the ineffectiveness and counter-productivity of using corporal punishment on students. The story is based on Gagnon’s research with UF professor Brianna Kennedy-Lewis, and was developed into a news release distributed nationally by the COE and UF news and communications offices.